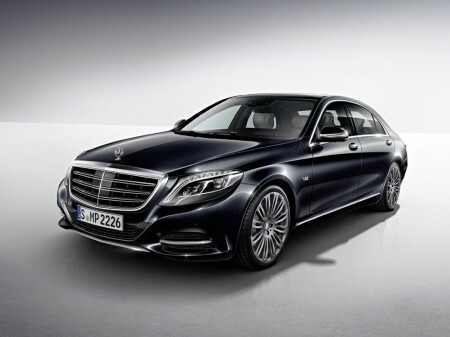 Mercedes-Benz revealed the new S 600 at the 2014 Detroit Auto Show this week. As expected, the luxury cruiser comes loaded with features and safety tech is plenty. The new S 600 gets a new twin-turbocharged 6.0L V12 engine, which produces 523 bhp and 612 lb-ft of torque. Magic Body Control suspension with Road Surface Scan and the Driving Assistance Package all come as standard. The package comprises active lane keeping assist, Active Blind Spot Assist, BAS PLUS with cross-traffic assist, DISTRONIC PLUS with Steering Assist, PRE-SAFE Brake with Pedestrian Recognition and PRE-SAFE PLUS. Inside the cabin, all the functions of the head unit can be controlled from the new touchpad. A heads-up display is also standard equipment on the new S 600.